On my last Must-Haves post, I talked about the things I could not live without for my face products. Of course I thought of a few more after I posted it, but I will have to save those for another time, because this one is all about HAIR and BODY product must-haves! As I mentioned before, I rarely buy something more than once, and if I buy it more than twice it means I really, really like it. I am exposed to many brands all of the time, and every now and again I find a few gems that I can not do without. On that note, let’s get started! 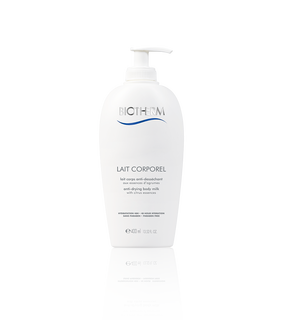 Biotherm Lait Corporel Body Milk – I first tried this body milk back when Alanis Morisette was ruling the airwaves, so that gives you an idea of how many years I have been loving this iconic lotion! Described as “deliciously smooth and fabulously fresh”, this milky lotion is one of the single most pleasant things I have ever used on my body. It does not feel sticky, greasy, or watery, it absorbs in right away and leaves my skin soft and smelling so citrusy and clean. This is a truly magical elixir of sensorial pleasures; from the impossibly smooth texture, to the fragrant yet delicate scent. This is one of those products that feels like a true escape when I apply it and it is a worthy self- indulgent treat or a spectacular gift for anyone who appreciates luxury! 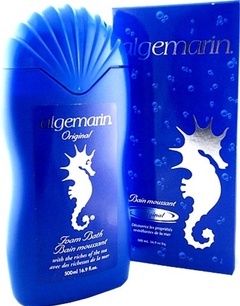 Algemarin Foam Bath Original – If I am not mistaken, I remember seeing this blue container with the little sea horse on it when I was only about 4 or 5 years old. As a kid, this was not MY bubble bath, but I was fascinated by the beautiful blue container and sea shell looking lid. Fast forward to when I am an adult working in a drug store- it comes in for Christmas stock and I buy one to try it out. I am now hooked forever. First of all, it turns your bath water blue. The same beautiful blue shade as the container, and it immediately transports me to another place where relaxation rules. Algemarin Bubble Bath contains mineral-rich sea algae to soothe your skin and while I do not find it moisturizing at all, I also don’t find it drying. The other feature that makes me love this product is the “fresh seaside scent”. OK, I have been seaside and it is not always that pleasant, but this product smells more like what you would want the seaside to smell like rather than how it actually smells. I have no idea how long this product has been around for, and sometimes I can not find it anywhere, but I like to have it in my house as often as possible. I suggest if you see it to try it, and if you like it stock up! 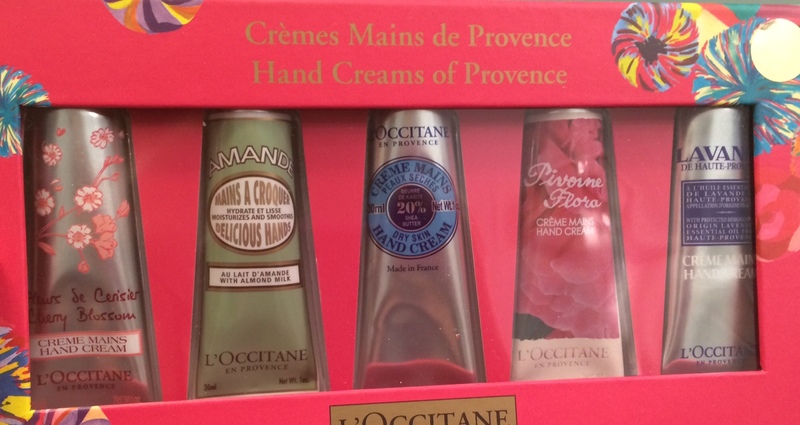 L’Occitane Shea Hand Cream – I first tried this product last year, and praised it in this blog post. 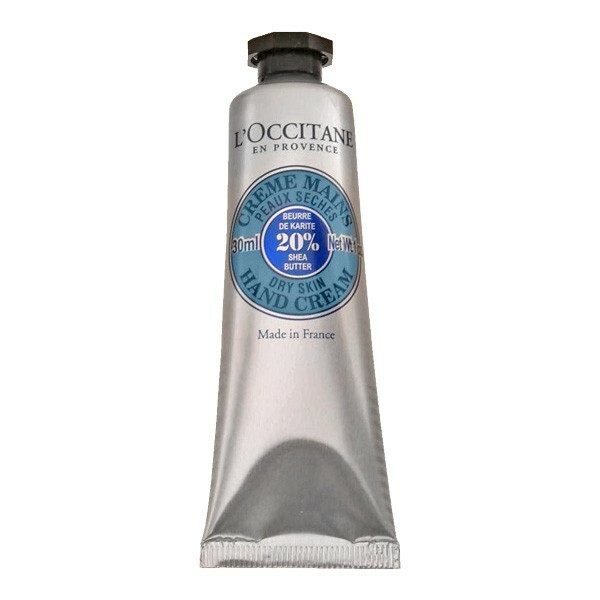 I have gone through about 5-6 tubes (travel size) of this in the past 2 months, and have the really big one now. This is fantastic cream that moisturizes, absorbs well, and most importantly it works. I know I can probably get something effective that costs a little less, but I like everything about this cream – the scent, the texture, the packaging. I need it all! Pantene Hair Conditioner – I am not loyal to a specific type of Pantene Hair Conditioner, and will generally use any of them (except the volumizing one – I hate that one for me). I have been using their conditioners since the late 90’s, and from time to time I will try something else. I always end up back at Pantene. I am not particular about shampoos at all, but I need my conditioner to smell decent, detangle my fine hair easily, feel lightweight and non-greasy, and ease my styling process. Pantene is the ONLY one that hits the mark for me on all of these requirements. I have used high end salon stuff, cheap to expensive drug store stuff, and I always arrive back at Pantene. 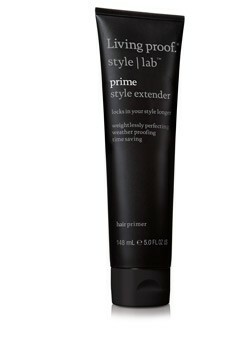 Living Proof Prime Style Extender Cream – This is a really new product in my must-have roster, and I don’t often consider something a must-have before I have even finished the first tube. But at the rate this little number is performing, it will surely be with me for years to come. It has literally allowed cut the amount of times I wash my hair in half! I can get away with washing my hair now only about twice a week, and this saves me so much time. For myself, all the hype around this product was true, and really with Jennifer Aniston as a co-owner did we expect less? OK your turn Foxes! Tell me what hair and body products you can’t live without. Maybe it will encourage me to hoard a little more…. Categories: body, foxy fun, hair, hair care, must haves | Tags: algemarin, Biotherm, body lotion, foam bath, hand cream, l'occitane, lait corporel, living proof, must haves | Permalink. Every time we ring in a New Year, people make resolutions – promises to themselves to improve their life and well being. These promises range from exercising more, eating better to committing time to self development and doing things like avoiding swearing or taking some classes for an interest or hobby. In my single and partying days most of my resolutions would be a direct result of whatever I was up to on New Year’s Eve – lol! Now that I am a lot more lame, my resolutions are too. I would take an educated guess that more than half of these resolutions fall flat within a few weeks anyhow, but I am making beauty resolutions this year and hoping for the best. I can do it! (Maybe). I will wash my makeup brushes more often. My brushes are disgusting. I know better, and now so do you. 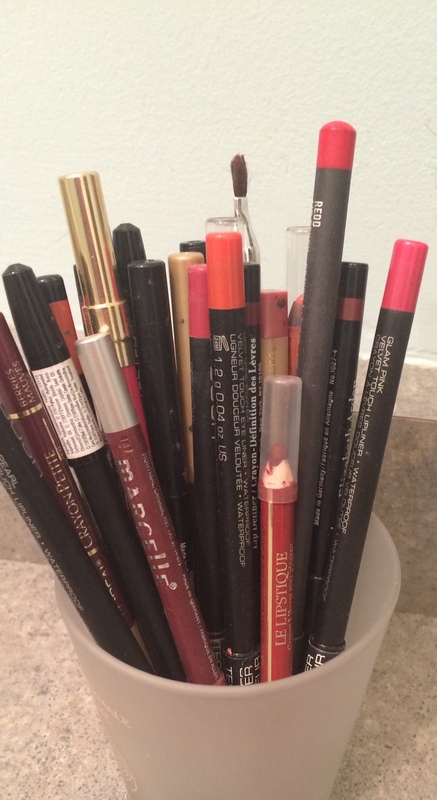 I keep multiples of each brush so I don’t have to wash them often, but even so I let them go way too long. 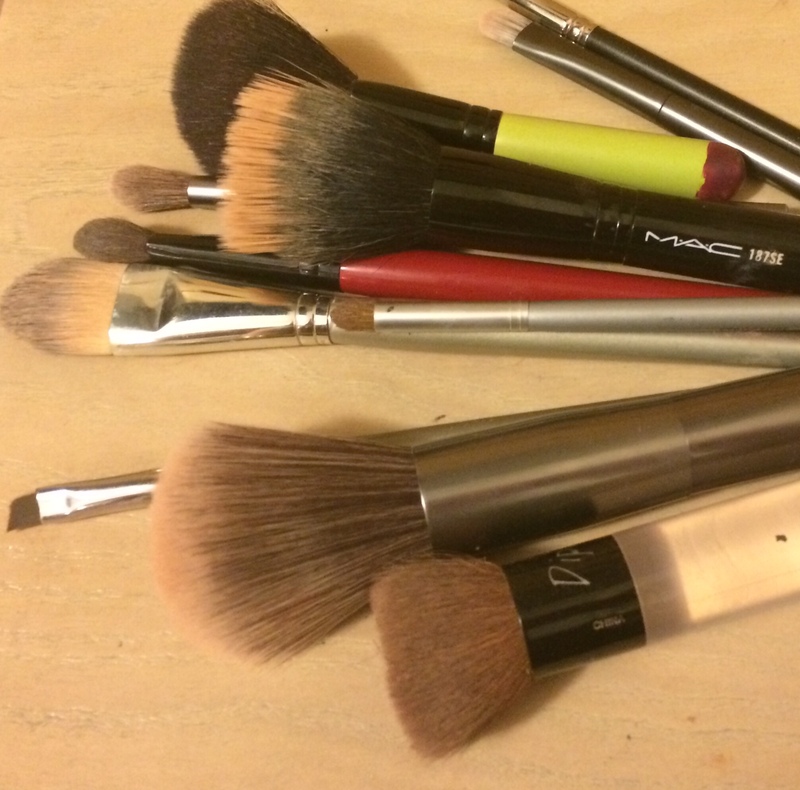 When you use a makeup brush, the makeup, oils and bacteria build up in it. This can cause problems like making your makeup application streaky or blotchy or spreading bacteria on your face causing breakout mayhem. Plus oils collect on your brush from your face and this can transfer to your products making them yucky and potentially changing the texture of powders. So, it is a good idea to keep a brush cleaning spray on hand to do a quick clean of your brushes in between a more intense wash. I like Lise Watier Makeup Brush Cleanser and use this little treasure by spraying it on a tissue and then rubbing the makeup brush on the tissue. I repeat this process until no more colour comes off the brush. The pros of using a brush cleanser like this is that it is quick and you are able to disinfect your brushes in between uses. The downside is that I find over time the sprays make your brushes feel a little more rough and dry (due to the high alcohol content to disinfect). Nothing is quite as good as a thorough wash. To do this, I add a few inches of water to a bowl or my sink – just enough to cover the brush heads only. I wet all of the brush heads. I then put a little shampoo in the palm of my hand and work a good lather up on each of the brushes and rinse them under running water until no more colour comes out. DO NOT soak the brush below the bristles as over time this will loosen the glue that keeps it all together and your brush may fall apart. Lay brushes flat to dry overnight on a towel and enjoy the clean and soft fluffy application the next day. NOTHING feels as good as applying powder with a clean makeup brush. I aim to do this once a week if I am am applying makeup everyday (of course I am). I will stop picking at my cuticles and hangnails. I am notorious for this, and recently have noticed that my 2 1/2 year old daughter does the same thing almost obsessively. If I have the tiniest tear in my cuticle or a hangnail starting, I will have that whole area ripped to shreds in no time causing cracks and unnecessary pain. I hate that I do this and it really looks gross. I will have it under control for a good chunk of the year, but once the dryness of winter hits, all bets are off. To help overcome this I need a plan. I am going to carry a cuticle oil and hand cream with me at all times, and anytime I find my self with an extra minute or so I will apply them. I know all the tricks to prevent and fix this problem, but staying committed to caring for this annoying area is difficult for me. I even wrote a post about how to care for this area and you can read it here. I know better. And now so do you. I will apply a foot cream. I love how my feet look and feel when I walk out of the nail salon after a good pedicure. I vow to myself that I will do more upkeep to make this feeling last. Then, I get really lazy. Within a week my feet look like a shoeless hobbit foot and the callous build up and cuticle dryness cause me great stress. I have the driest skin ever on my body and it is annoying. My husband never gets dry hands or feet and simply cannot understand my need to constantly apply stuff. It is my cross to bear (dramatically speaking, please don’t send hate mail over my first world problem). 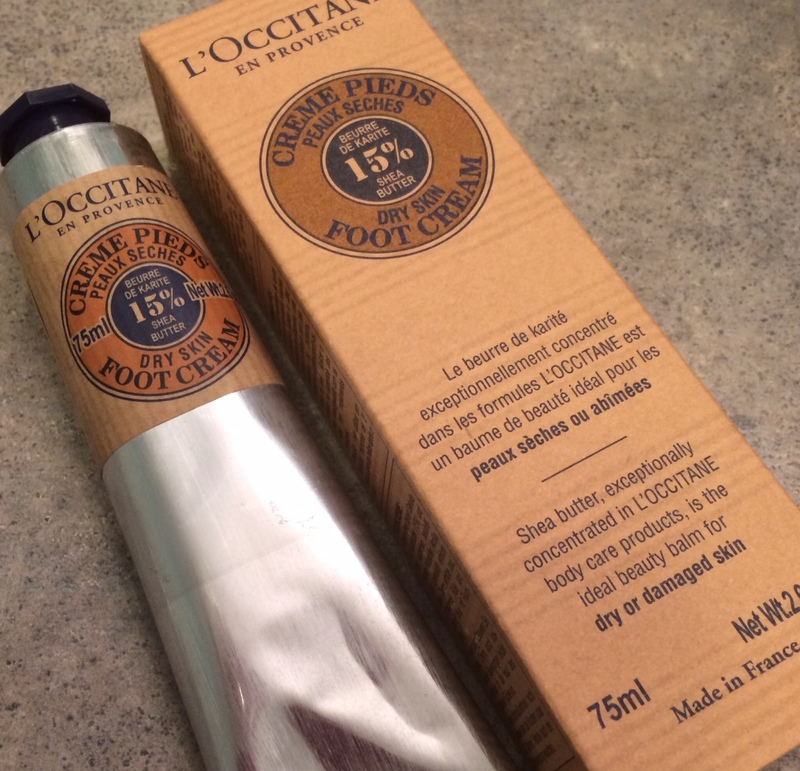 I am trying out L’Occitane Soothing Shea Butter Foot Cream and I adore it so far. I received this in a gift set for Christmas, and I was already a huge fan of the hand cream so the fact there was a specific foot cream really made me happy. I like products dedicated to a certain part of the body, I feel that they are more legitimate. Maybe I am car-razy but that’s how I feel. I will say goodbye/ adios, au revoir to anything in my collection that is older than my children. 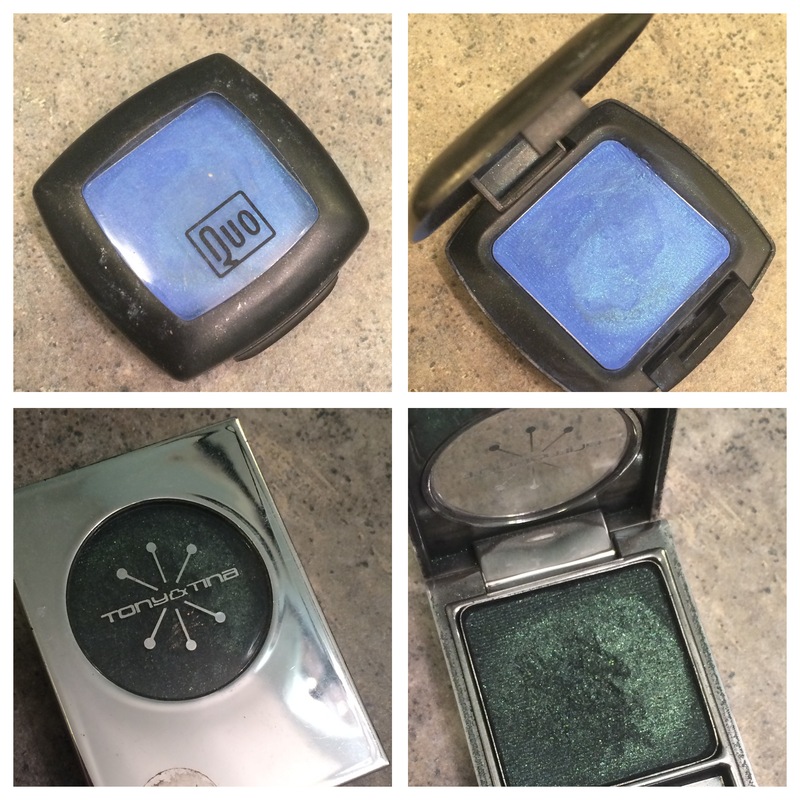 I have a Quo Electronica Eyeshadow (a shimmery electric blue) from around 2001. I just can’t part with it, even though it looked absolutely hideous on me back then and I am certain the 14 years since I bought it won’t change the fact that it’s not for me. But I haven’t been able to throw it away. I am a product hoarder, there is no doubt. 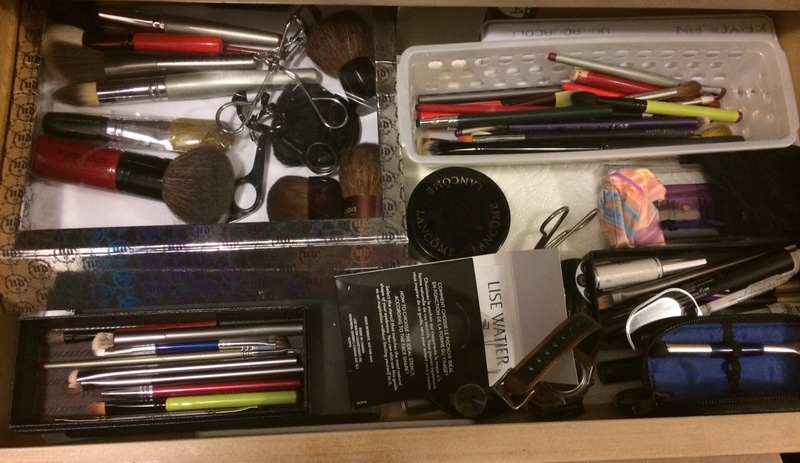 I keep beauty products forever, and some of them are like mementos of times that have passed and I have the hardest time parting ways with them. I have a Tony & Tina dark glittery green eyeshadow I bought on my first ever Sephora store visit in Las Vegas in the early 2000’s (before Sephora was in Canada). Every time I look at it I know I can’t pull it off but also can’t part with it because it reminds me of my first trip to a Sephora. Not even my first trip to Vegas, but my first trip to a STORE! These strange little items have even moved across the country with me and lived in 3 cities in two provinces and one territory. All the while I have not worn either one of them even once since they were initially purchased. I have troubles. I will try to rid myself of these relics by June. (Sad face, maybe a tear or two). 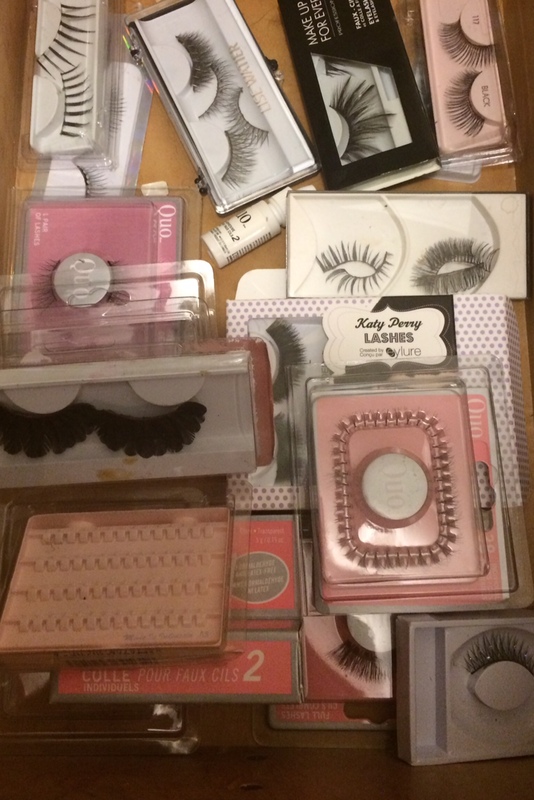 Speaking of hoarding, I have a thing with false eyelashes. I have a drawer FULL of these babies, and even have doubled up some of them in the package to save room and fit more in. Why? I rarely do anything more glamorous than strolling through my local Superstore buying baby food and produce, but if I see some cool lashes on sale I HAVE to buy them. It is a compulsion. I love halloween clearance when all the weird and wacky lashes go on sale. I have feathered ones, glittery ones, Katy Perry looking ones… you name it. I simply love a fun lash. Soooo, rather than getting rid of them or stopping myself from buying them, I figure I should find something to do once a month where they will be at least semi-appropriate. Do you think a trip to my local Starbucks counts? So, that is it for me for my 2015 Beauty Resolutions and here is to a productive and successful 2015! Do any of you Foxes have resolutions planned? Tell me about them in the comments below, even if they are not beauty related. You may inspire me to add a few more to my personal list! Categories: beauty tips, foxy fun | Tags: beauty, brushes, false eyelashes, foot cream, hand cream, hoarder, l'occitane, lipliner, Lise Watier, makeup, new years, Quo, resolutions, tony & tina | Permalink.